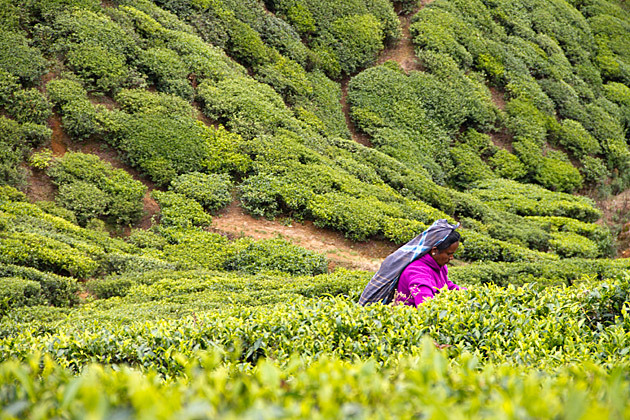 Sri Lanka is well known for its tea produce and vast plantations. It is also the world’s fourth largest tea producer and one of the top tea exporters. But did you know that tea is not actually native to Sri Lanka? Tea was brought to the country in 1869 to replace the unsuccessful coffee plantations that were struck by the coffee-rust fungus. It was the British people who brought the first tea plants from China in 1824 after they established their plantations in Assam. The British colonized the former Ceylon in 1801. In Sri Lanka, tea became an alternative to coffee during the early 1850’s. Initially, the Assam seed was the first variety to be planted notably at the Loolecondera Estate in Kandy. The first test planting was supervised by a Scotsman named James Taylor. The Chinese tea variety was the second to be test planted but this time in the Labookellie Garden in the Nuwara Eliya district. The test planting was led by Solomon and Gabriel de Worms. By the year 1890, a man named Thomas Lipton (yes of the famous Lipton tea brand) arrived in Sri Lanka and bought tea estates. During that same year, some 23,000 tons of tea were exported to the tea auctions in London. Currently, there are three main types of tea in Sri Lanka each determined by the altitude of the place where they are planted. The low-grown tea can be found at elevations below 2,000 feet while the medium-grown teas are at elevants of 2,000 to 4,000 feet. The high-grown teas, meanwhile, grow at an altitude between 4,000 and 6,000 feet. Today, the Orthodox black tea is what’s mostly being produced in the country. They are also added to the English style black tea blends. The Orthodox tea is more expensive to produce and the demand for it worldwide continues to grow. Tea tourism has also become very popular in Sri Lanka. It provides a one-of-a-kind experience to travelers who want to enjoy a peaceful and unforgettable holiday in a nature setting. Apart from being able to stay in a tea estate, tourists can also tour different tea plantations and enjoy tea tastings similar to wine tastings. Tea appreciation classes are also offered in various areas. A great experience is being able to stay in bungalows and colonial villas built between 1890 and 1939 and with fantastic views. These resorts still have period antiques and have their own well-trained butlers and planter-in-residence.